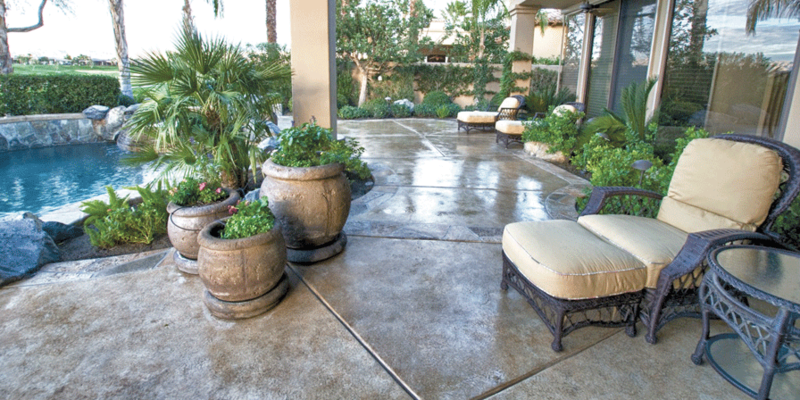 Restora is the Largest Decorative Concrete Company in the Coachella Valley. Maybe you have seen one of their commercials or recognized their work at a neighbor’s or friend’s home. 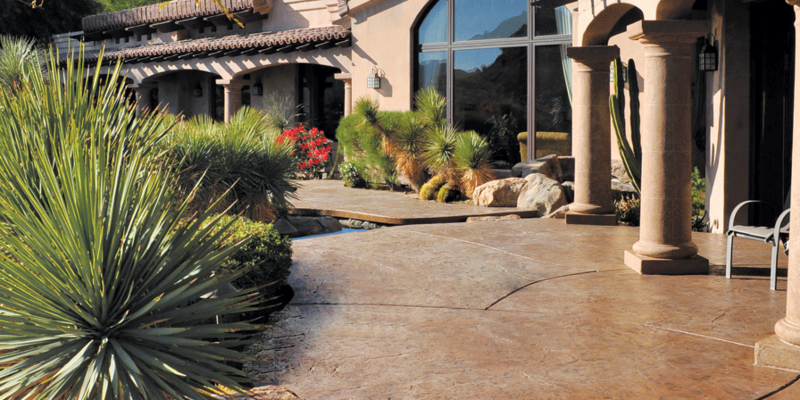 In business for over 31 years, Restora can uniquely change the look of your interior or exterior concrete. Continuing to be the leader in expert craftsmanship and creativity, Restora can custom design your concrete resurfacing needs in any combination of designs, textures, and colors desired. Restora was developed from a continuing flow of ideas and every year Tony was expanding, either the product line or new techniques, taking Restora to a new level, one step at a time. He reformulated products and coloring systems and expanded to simulating tile and stone. Currently Restora has over 20 experienced, long term employees, including a project manager that has been with him for over 19 years, all trained and educated by Tony. Never becoming complacent, Tony firmly believes in the old saying, “Whatever the mind of man believes, he can and will achieve with positive action and perseverance.” Tony is also an accomplished artist, and his artistic talent translates into incredible concrete flooring designs. Polykrete, a specially formulated and private labeled product to meet Restora’s specifications and desert weather conditions, is exclusive to Restora. 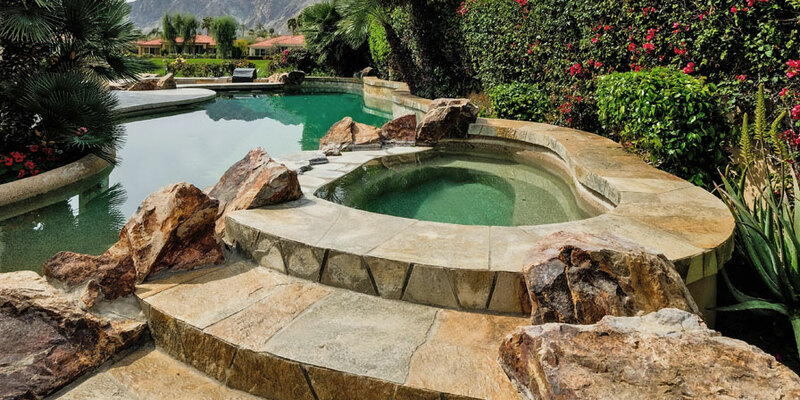 Some of their services include installation of Restora’s 6-layer polykrete system on pool decks, patios, entries, driveways, walkways, stone columns, concrete counter tops, barbecue tops, interiors, exteriors, fire pits, and coach pads. 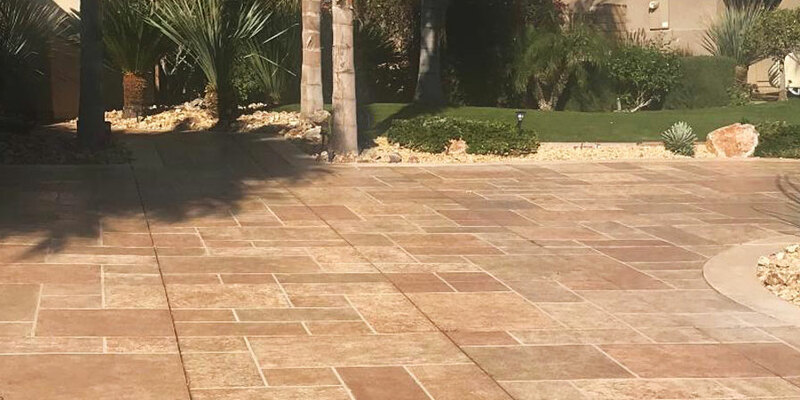 They also offer restoration of existing concrete, installation of new concrete, color staining, interlocking pavers, stone veneers, garage floor systems and much more. Whether your needs are interior or exterior, Restora has the solution and creativity to enhance the beauty and quality of your home or business. Their motto is, “Any design, any texture, any color, the choice is yours.” It simply starts with a sit down meeting, and ends in a standing ovation.